The Messiah College Falcons Women’s Soccer Elite ID Camp is for advanced-level female soccer players entering grade 11 and grade 12. It is a two-day event that will run on the 9th and 10th of June. It is going to take place at the scenic Messiah College campus in Mechanicsburg, Pennsylvania. Furthermore, this soccer ID camp is especially for those who think they have what it takes to become a college soccer student-athlete. The program will allow players to showcase their exceptional soccer skills. It is also an opportunity for the participants to interact and get to know the Messiah Falcons women’s soccer coaching staff and current players. Messiah College, originally Messiah Bible School and Missionary Training Home, is a private, coeducational, Christian, liberal arts college in Mechanicsburg, Pennsylvania. Its founder is the Brethren in Christ Church also known as the River Brethren and River Mennonites. Currently, it is serving around 2,800 undergraduate students and around 500 postgraduate students. The undergraduate student population has a 39 percent male and 61 percent female students gender distribution. It is also through a selective enrollment acceptance rate of 80 percent. Correspondingly, Messiah College’s student to faculty ratio is 13:1. Messia College is a member of the Christian College Consortium (CCC). It is also part of the Council for Christian Colleges and Universities (CCCU). Furthermore, in the 2018 edition of the US News and World Reports Best Colleges rankings, Messiah College is 4th in the Regional Colleges North category. It is also number one in the Best Colleges for Veterans category and number 3 in the Best Value Schools category. 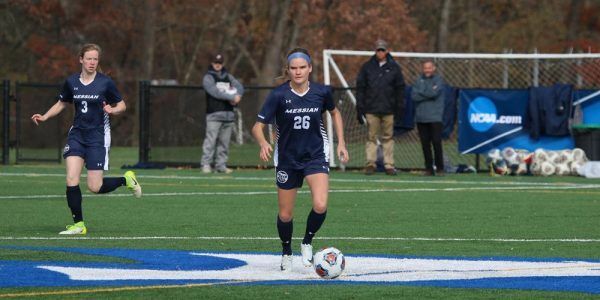 In addition, Messiah College’s intercollegiate men’s and women’s athletic teams are competing in the Middle Atlantic Conferences (MAC) of the National Collegiate Athletic Association (NCAA) Division III. They are the Falcons and their official colors are navy blue and white. Scott Frey is the head coach of the Messiah College Falcons women’s soccer team. He is now entering his 19th year at the helm of the Falcons women’s soccer program. Coach Scott Frey is a Messiah College alumnus. Ultimately, he is a four-time National Soccer Coaches Association of America (NSCAA) Mid-Atlantic Region Division III Coach of the Year awardee. Coach Frey is also a three-time NSCAA Division III National Coach of the Year and a one-time Great Lakes Regional Coach of the Year. Under his leadership, the Falcons women’s soccer team has already five NCAA Division III National Championships. Additionally, Coach Scott Frey is an Advanced National Diploma and a USSF “B” License holder. The Falcons assistant soccer coaches are Todd Balsbaugh, Eric White, Holly Burgard, and Ali Krieger. Coach Todd Balsbaugh also a Messiah College alumnus is now in entering his 18th year with the coaching staff. He is also a master’s degree graduate from Penn State University. Then, Coach Eric White is now in his seventh season with the Falcons coaching staff. He is also a Messiah College graduate with a degree in Sports Medicine and Health and Physical Education. Coach White is also a master’s degree in Sports Administration graduate from McDaniel College. Finally, Sandy Bush is the athletic training program director. The Messiah College Falcons Women's Soccer Elite ID Camp is inviting all rising junior and senior high school girls who are aspiring to play soccer at the college level. It is a two-day program that will fall on the 9th and 10th of June. This soccer identification camp includes skill enhancement sessions, competitive games, and a college recruitment talk.